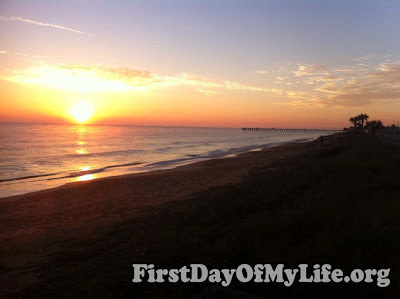 First Day of My Life: My, my, 2013! I am seriously in shock that it's 2013. 2012 was quite a wonderful year. I truly learned who I am. 2012 helped me to become who I am as a 26 year old lady. I've found my voice in life and am as confident as ever. All of these things help me become a very happy person. People have noticed recently just how happy I am. They ask me what my secret is. I tell them it's the salt air ;) but it's really that I have learned to let go of all negativity, cling to the positive, and thank God for all I have. I make it my vow to do this even more in 2013! -Rid myself of all negativity, go with the flow, and be a ray of sunshine! 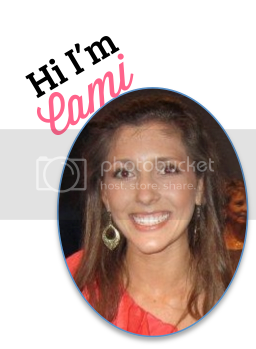 You go Cami! Shine on! I love your spirit! My resolution this year was to look at the positive because I'm a really negative person. I'm doing better. Thanks for the inspiration! Focusing on the positive and letting go of the negative is something we could probably all use more of! Letting go of the negativity is SO important!! I'm so happy you're happy! !